I am an artist that uses craft beer cans in my work. Not only are the cans beautiful as objects, but as a material, they’re quite wonderful to work with, easy to cut and form, durable and light-weight. Plus, I’m a big fan of repurposing and creating my artwork in an environmentally friendly fashion, so it’s perfect! I also find a lot of inspiration in the language connections between “craft beer” to fine art. The word “craft” in the art world has traditionally been used as a kind of put-down when describing artwork, and it’s very interesting to see that same word “craft” being to be used to elevate products, even being turned into its own category to describe a style of beer that is celebrating creative recipes and artistic approaches by the brewers to its creation. I’ve found that a lot of artists are similarly inspired by the materials themselves, but also the relationship and parallels of the two seemingly different industries. These artists are taking beer art to a whole new level. They are using the beer itself to paint with, the cans, tabs, bottle and caps — you name it — to make their creations ranging from realistic to abstract, each bringing their own flavor to the artistic process. And just like the craft beer industry, it’s not just local, its global. 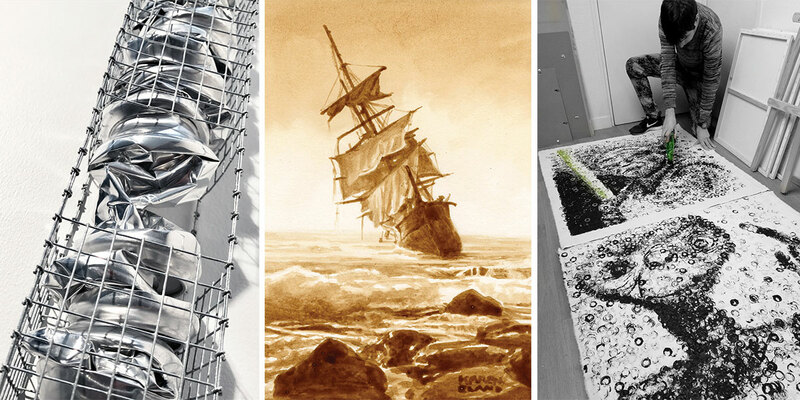 These artists are from a wide range of places and found common ground in this unexpected material inspiration. 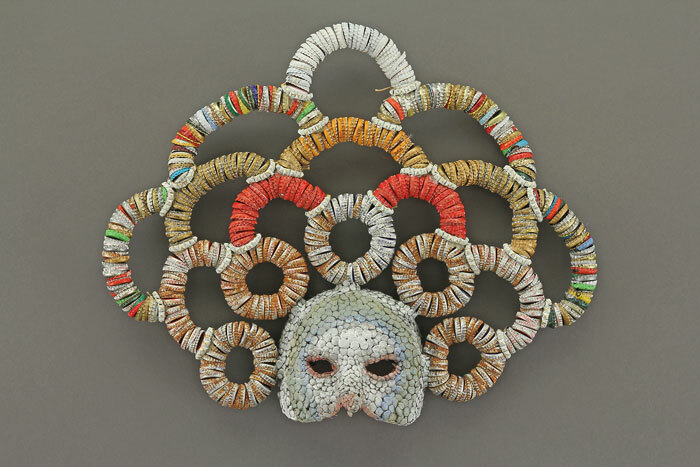 These fascinating masks are by artist Lucien Shapiro. He gathered his materials by going into his local bars and chatting up the bartenders. He admits that he wasn’t as interested in the brands of the beers, but more the shape and texture of the caps. Metaphorically he liked the circular shape as he believes everything in life tends to come full circle. These beautiful pieces are painted with beer! Karen Eland says that her favorite beers to paint with are Deschutes Obsidian Stout or Black Butte Porter — to drink, she’s currently digging Deschutes Thundercone. 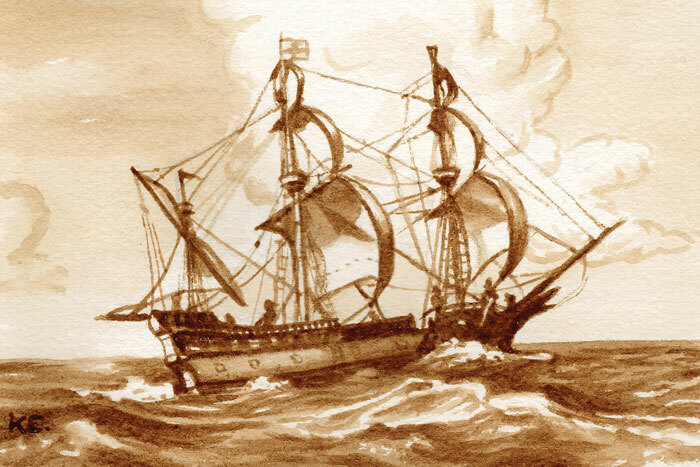 She uses the beer like watercolor paints, some ranging in the more fanciful to realistic, the brown sepia tones making them feel somewhat historic like older photographs. 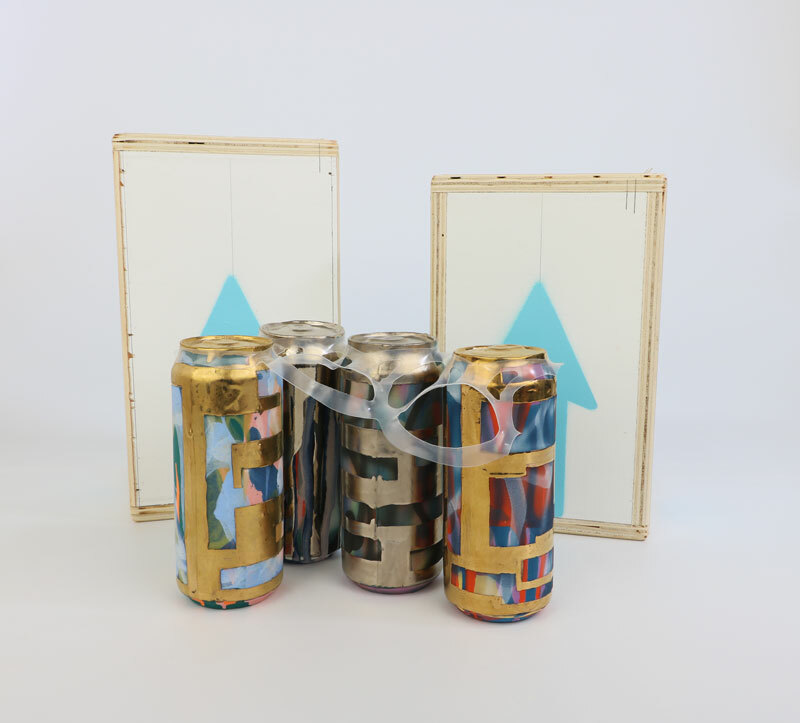 Artist Jeff Schwarz creates realistically shaped beer cans out of ceramics and glazes them in an abstract design that looks like it’d be an amazing label if it were one. He then creates custom mini crates and 6-packs of them. He likes the concept of “high-brow to lowbrow” when it comes to art and said “with the rise of the craft beer movement, the beer cans have a similar character, an elevation of something commonplace to a higher level.” His personal favorite beer right now is 21st Amendment’s Back in Black and Couch Brewery’s Gimlet. Naart is an artist duo, Alexandre Caillarec and Nicolas Thollot-Arsac, based in France that has been creating illustrative paintings and murals using empty beer bottles as paint brushes. 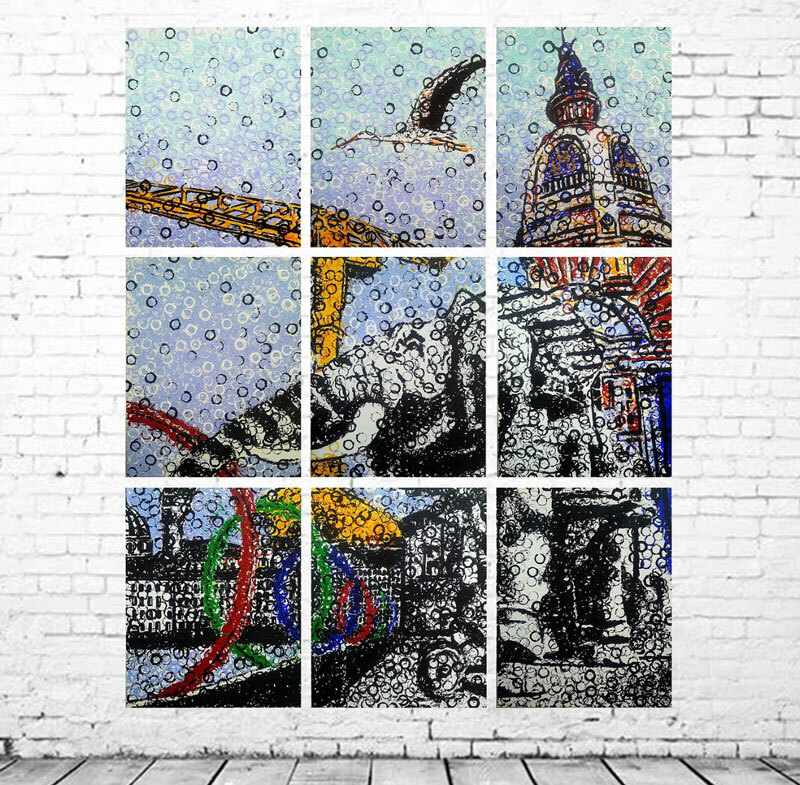 The results are like a modern interpretation of pointillism, (which is basically painting with dots). They create a lot of pop-related imagery focusing primarily on portraits of famous people, but also paint animals and Disney characters — you name it, they could probably do it. For the actual painting, shorter neck bottles work the best, but for drinking, their favorites local French craft brewery is Brasserie Nautile, but also love the Belgian beer Lupulus and German beer Mühlen Kölsch. Ward Yoshimoto sees his work as a reflection and a sort of timestamp of what he was experiencing and observing at the time he created it. With an art studio in Gowanus, Brooklyn, this came to mean incorporating his local favorite beer cans from the Other Half Brewing. 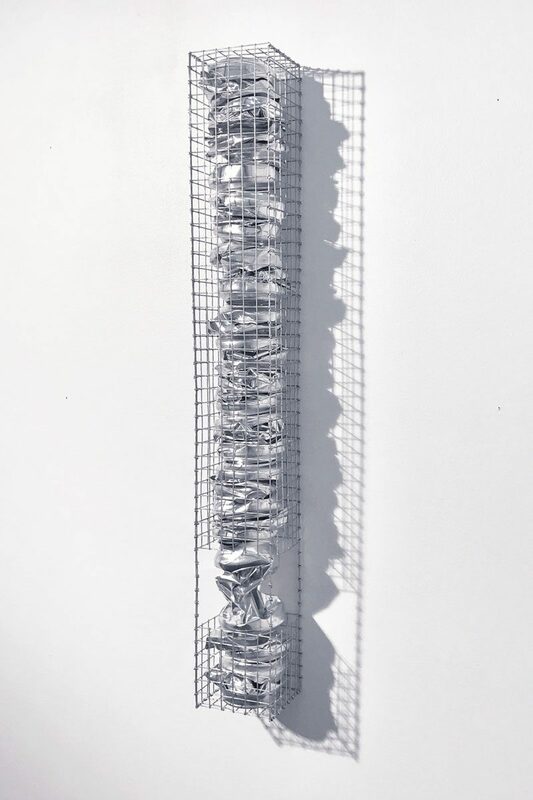 He crushes the cans and stacks them into custom-made crates creating an abstracted both organic yet organized form. 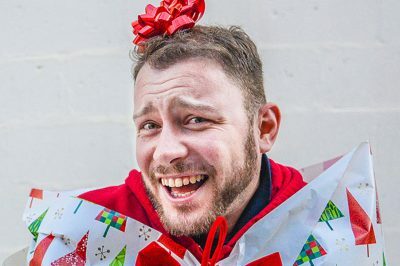 He really likes IPAs, particularly Other Half’s Thought Bubbles, but says that he’s excited to try more, especially their stouts as winter approaches. Noah Deledda removes the labels from the cans he uses, allowing them to be a blank slate, or have an “anonymous status” as he puts it. He believes that when stripped down, it’s allowed to reflect the world around it. It’s still identifiable as a can and it’s the unbelievability of the process that makes them so fascinating. 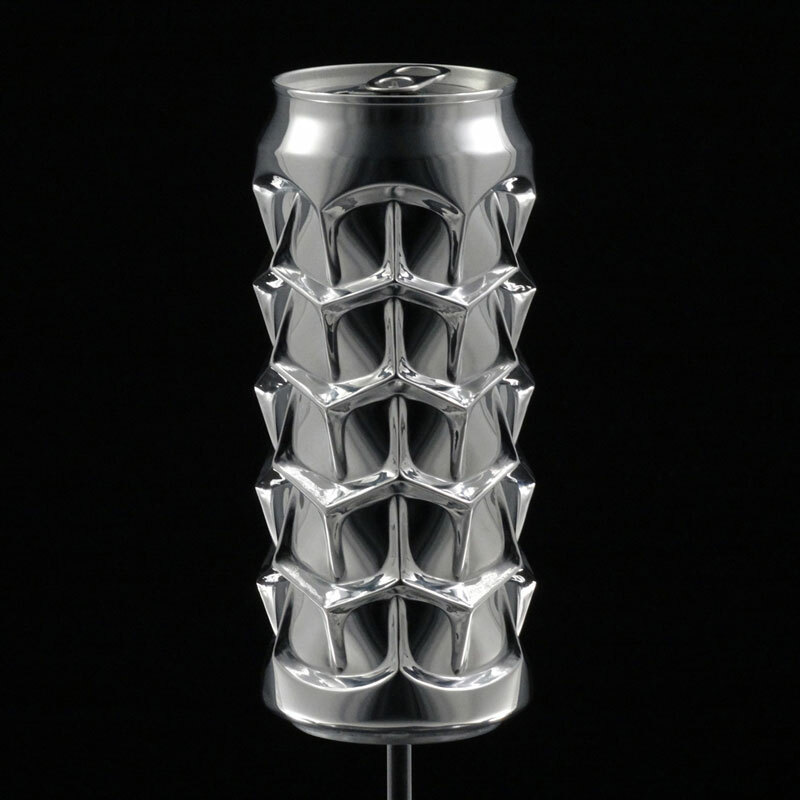 They are completely created by hand, literally pressing into the aluminum with his thumbs. This work is made from aluminum can tabs. A lot of them! 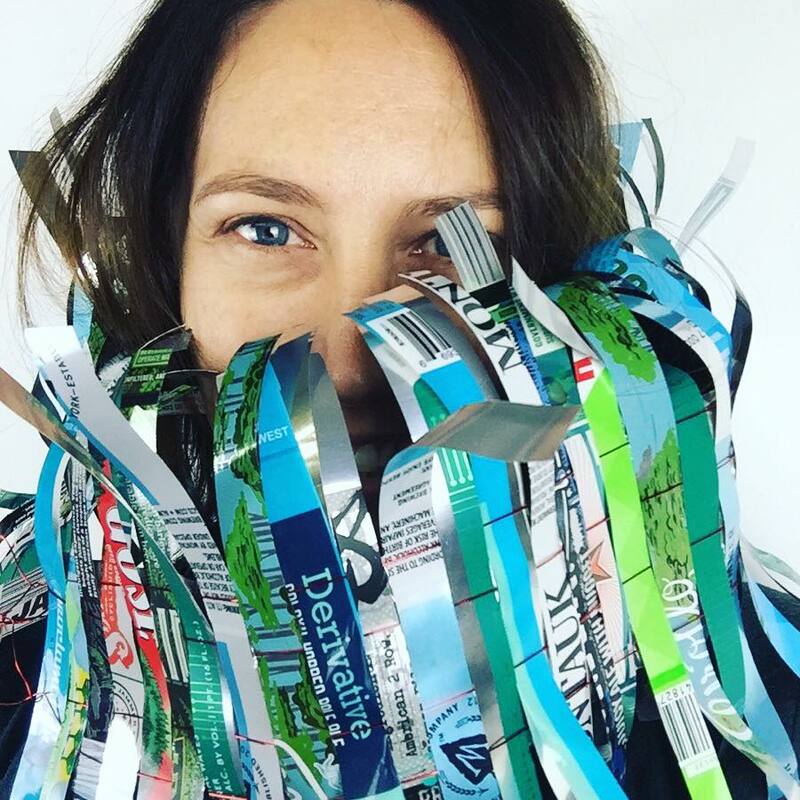 Alice Hope had the opportunity to go to a recycling center a few years ago to gather materials for her artistic practice, and lo and behold, there were tons and tons of aluminum tabs. So, while there was no clear way to know where these tabs came from unless they were branded otherwise, the effect is the same, that repetitious sheer quantity is overwhelming. She took these tabs and has created a vast body of work where she makes the metal look like fabric. If we had to pair a beer with Alice’s artwork, something like Epic Brewing’s Spiral Jetty would be perfect. 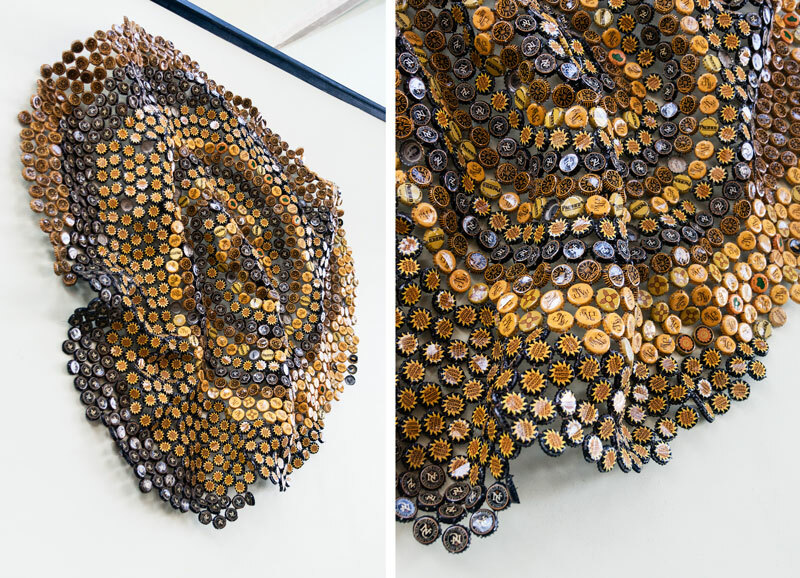 Another approach to making a metallic product look like a textile or soft fabric is artist Alexis Furlong in these bottle cap quilt/sculptures. She has connected the caps in patterns that create a structured blanket-like form and used the caps in color combinations that suited her design. In the piece featured are caps from Anderson Valley, Firestone Walker, North Coast Brewing and Squatters. Her favorite local craft brewery is Uinta Brewing, but the beer she can’t get enough of right now is Upslope Thai Style White IPA. Lastly is me, Christina Massey, the creator of this list of beer art. I use a wide combination of breweries in my own artwork, gathering supplies from my beer nerd husband and his friends. They’re largely New York based, but like many of you, we love to travel and try new breweries. 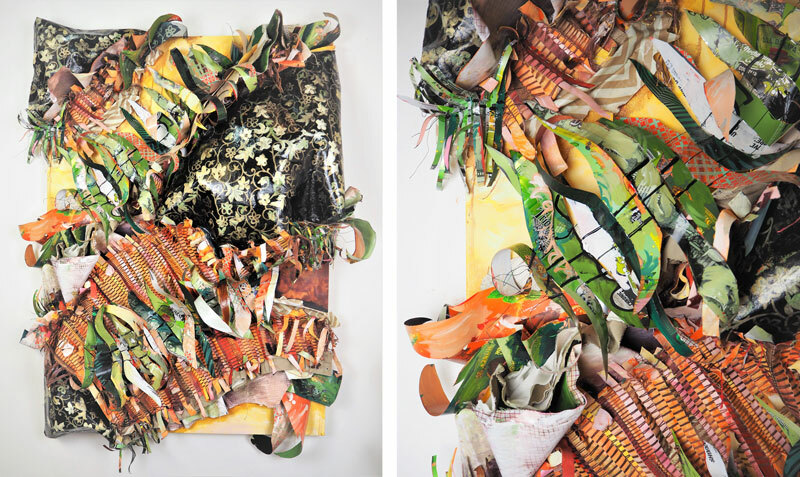 I cut open the cans then use them as an almost fringe or feather-like texture in my work. 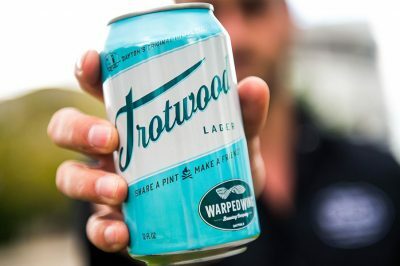 In this piece, cans from Other Half, Barrier Brewing, Brewery Vivant, Three’s Brewing, Departed Soles, Five Boroughs Brewing, Neshaminy Creek and Montauk Brewing all make appearances. Personal favorites? I’ll have to say at the opening for the Grimm Taproom recently, I really enjoyed their Flash Forward American Pale Ale. Art is often described as a reflection of what is happening in society, and here we see how quite literally the existence of this industry has already infiltrated the art world which is reflecting back how people’s tastes, appreciations and consumer choices as a whole are growing and changing. From the cans, bottles, caps to beer itself, the beer industry has no doubt left its own mark of inspiration on the art world. As the craft beer industry grows, it will likely continue to inspire and pop-up into more and more fine art. I say cheers to that! Christina Massey is an artist and curator located in Brooklyn, NY. She writes a blog that features female artists called WoArt and occasionally guest blogs for other art publications. She is a Chico State grad, so she “grew up” on craft beer, her college beer being Sierra Nevada Pale Ale and has proudly never drank a Budweiser beer ever. 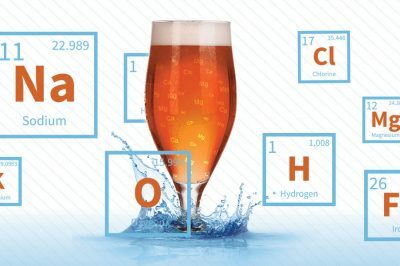 Water may seem like a simple ingredient in beer, but its unique chemistry and composition create a complex equation for full-scale breweries and homebrewers alike.